If you are lucky enough to date a translator or if you are a translator yourself, you know what can make us happy: an endless supply of freshly ground coffee, a fast laptop and a reliable CAT tool (a real cat is a good supplement, by the way). But when it comes to holiday gifts it can be hard to find a present that is both pleasant and useful. Therefore, in this post, I’ve prepared several cool ideas about holiday gifts for translators. It’s not a secret that translators work really hard: we spend long hours in front of a computer almost every day, that’s why we have to be very careful to keep our wrists and hands healthy. You know, carpal tunnel syndrome is not a laughing matter. Hopefully, there is a number of ergonomic solutions that can prevent health problems for people typing thousands of words per day. Over the years of freelancing, I have tested Logitech, Genius, and A4Tech peripheral devices. Out of them, Logitech keyboard and mouse were the best choices for business purposes: they are extremely durable and have a neat design. And don’t buy a mechanical keyboard or a mouse with 12 buttons, unless you are going to make a gift for a cyberathlete! Mousepad with wrist support is a good solution to prevent the development of carpal tunnel syndrome. There are thousands of designs and it is hard to recommend anything specific. So the availability of a wrist support is the main criteria in this case. Translators are lifelong learners. Whether you like it or not, we have to keep up with the times, master new technologies and explore new fields of studies to ensure top quality translations and grow as professionals. Books are the best way to achieve all the above. Therefore I decided to prepare a special section about smart gifts for translators. Translation is a versatile field of expertise: translators work with different language pairs and have various specializations. But there is one common thing every freelance translator has to do: running own business. That’s why today’s selection consists of my favorite books about freelance translation and development of a personal business. This is simply the best book about marketing ever. I absolutely love it as it explains key principles of marketing in simple terms with awesome real-life examples. If you want to make a gift that can change a mindset to entrepreneurial one – choose this book! I have worked with Oleg for about two years and I know him as a professional translator and a great manager. He has knowledge and experience to share with freelancer and help them become successful. Oleg’s company Translators Family was the first agency client of mine when I got back to freelancing in 2013. Corinne is a prominent translator, blogger, and author of one of the most popular books for translators with over 10,000 hard copies sold. Her book and blog are full of valuable insights about translation business, cooperation with agencies and working with direct clients. 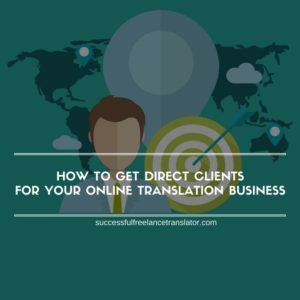 I hope this post helped you find something special for your beloved translator, colleague or for yourself. If you have other gift ideas for translators, feel free to share links with your thoughts below.